Talk of El Nino brings numerous speculations to the California Coast. Will we get a rainy winter? Yesterday, we had the first rain of the season on the Mendocino Coast. It started just as we were getting ready to launch. It sprinkled then showered, and we commented that it might settle the dust. Moments later, it began to rain. Excitement built throughout the afternoon paddle. The rain was warm and hope of a good winter warmed us further. 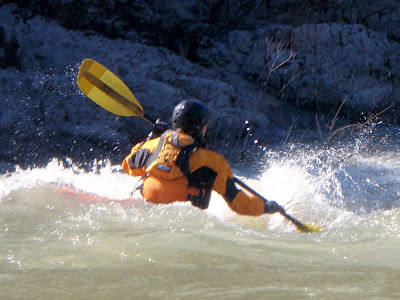 In Mendocino County, rain means wild mushrooms and whitewater river kayaking. Stay posted as we hope to be enjoying both mushrooms and whitewater this fall and winter. Our Mushroom Kayak Tour was mentioned in Oprah's magazine in a feature article about food festivals. 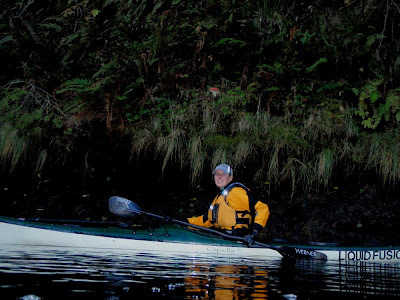 And yes, we will be venturing off of the coast this winter to paddle the whitewater creeks and rivers of Mendocino County.